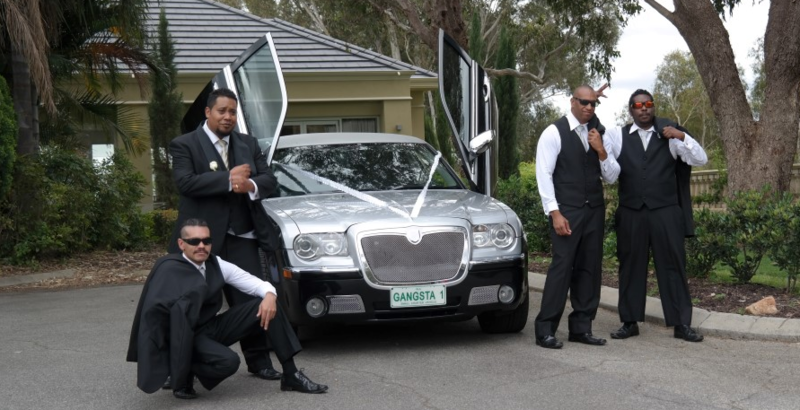 The most luxurious, lavish limo's for hire in Rockingham, WA says "Hi"
1. Punctuality.. is part of the luxury service we provide and being on time (we schedule our Limo's to be at the pick up point 15 minutes early) is our 1st chance to impress you. We want to get it right straight out of the gate and give you super superior service. 2. Sparkling Clean, Immaculately Presented Vehicles.. Our 2nd chance to impress. From the outside to inside you will SEE super clean, SMELL superior quality and FEEEL super first class luxury. All with a perfectionist touch plus personally picked Professional Chauffeurs with longingly luxurious Limousines to make your ride the most romantic or roaringly riotous. Whatever your mood we can match! Whether you are whisking away after your wedding, treating yourselves to a tasty anniversary dinner or accompanying VIP's for an International conference our polite and proficient staff will ensure all arrangements for your transport are accomplished in a timely and stress free manner. Rest assured when we pick you up we never let you down!! Get ahead of the pack and pick your Rockingham Limousine now by calling ﻿08-6002-2050﻿ and get full details of our packages and premium promotions. By the way in case you are ever in Sunshine Coast and need a limousine service i want to give a shout out to my friend at limo hire sunshine coast ... He even has more limo choices available then here!